Whether you’re a hobbyist or own a small business, sticker making can be quite enjoyable and can be a fun way to turn your creative ideas into profit. While the sticker designing process is fairly easy, cutting out each and every sticker by hand can be torture. Fortunately, there are many professional sticker machines in the market to help you create and cut stickers more efficiently so you don’t miss out on orders because of a tired hand. Below are reviews that may help in finding the best vinyl sticker printer for you. 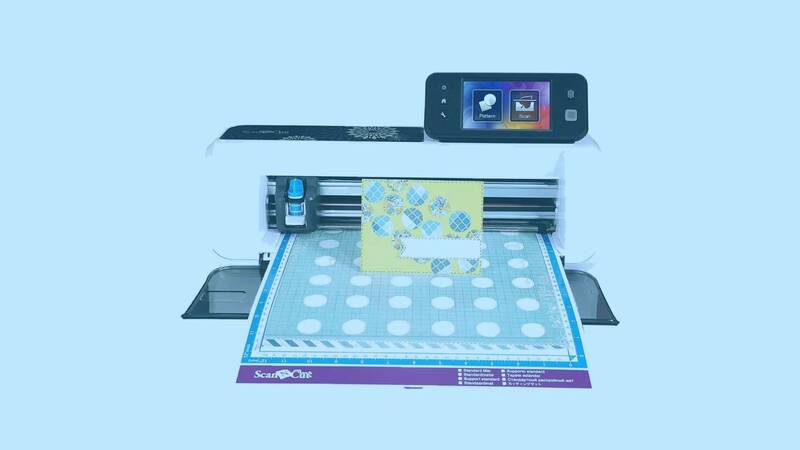 This sticker vinyl machine is the latest upgrade under the Cameo brand with its advanced Bluetooth technology and user-friendly touchscreen. 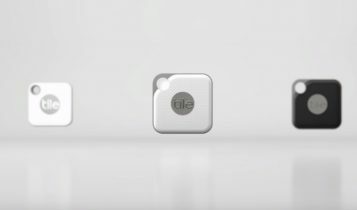 Much like a home printer, it can plug right into an outlet and your home computer with one simple USB cable or built-in Bluetooth if you prefer a wireless connection and so you can work from anywhere in your home. When it comes to paper, vinyl, foil, heat transfer material or thick cardstock, the Silhouette Cameo 3 has no trouble cutting through these materials and dozens more with consistency. While it’s not meant for the biggest projects, it can still cut up to 10 feet long and 12 inches wide, making it most ideal for signage designs. It’s also equipped with an auto-adjusting blade so you won’t have to manually adjust the cutting depth for different projects along with a double cutting clearance of 2mm for thicker materials. 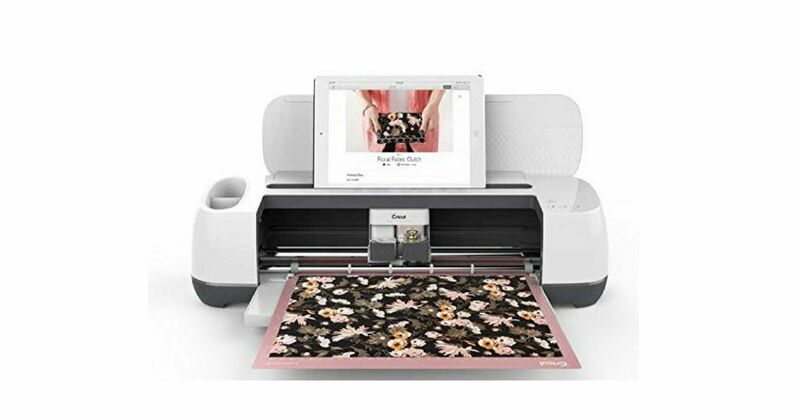 This sticker cutting machine comes with Silhouette Studio 4.0, a reliable application that can come in handy when you’re bringing life to your ideas. There’s also a mobile application that’s compatible with either IOS or Android which gives you the ability to edit your designs straight from your phone. Unfortunately, certain devices such as a Chromebook are not compatible with the Silhouette Cameo 3 and there are no cutting force upgrades, but overall, this is a highly practical machine to make stickers with for the everyday small business owner. Just like the Silhouette, the Cricut Explore Air 2 is quite flexible with its ability to cut over 100 materials along with leather and foam. This makes it a very practical machine that makes decals, custom vinyl stickers, personalized cards for any occasion, home decoration, labels, and a lot more. The Cricut Explore Air 2 allows you to upload your own custom images or you may choose from Cricut’s large library of pre-made designs and projects. Its double tool holder is great for cutting and writing or scoring all in one step. You can use this machine via USB cable or by Bluetooth, but be mindful that it can be somewhat loud. It’s compatible with your computer, tablet, or smartphone if you download and use the Cricut Design application, which is only available for IOS devices. The included Design Space software is the only editing program you can use with this machine, which may be troublesome for those who prefer using other software. For the perfect cut every time, this machine features a Smart Set Dial that makes sure it cuts at the correct depth and pressure depending on the type of material you’re working with. The Cricut Explore Air 2 is designed to cut intricate details with ultimate precision with its German carbide premium blade. If you’re ever in a hurry, the new Fast Mode will cut up to 2x faster for vinyl, iron-on, and cardstock materials, further making this sticker vinyl machine an ideal tool to use in the home office. A sister unit to the Silhouette Cameo 3, the Portrait 2 is a more compact sticker cutting machine which better accommodates smaller home spaces. It’s also fairly lightweight so you don’t have to worry about lugging it around the house whenever you wish to move it. Because it’s Silhouette Studio and Bluetooth compatible, you can work from your desk, your bed, or anywhere you please. Although the small size can be worrying, Portrait 2 is more than capable of cutting over 100 different materials using its auto adjusting AutoBlade. This can save a lot of time compared to manually adjusting the settings for each material you use. For slightly thicker materials such as cardstock or posterboard, the 2mm clearance gives you plenty of room to work with. 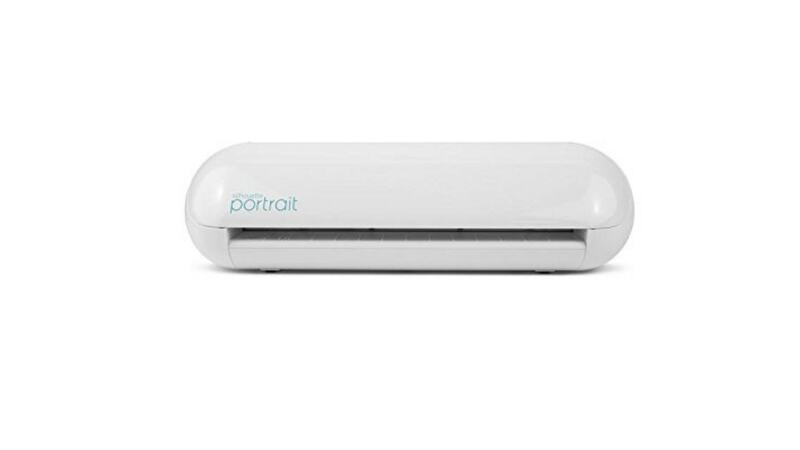 However, because of the Silhouette Portrait 2’s compact size, it can only cut various materials up to 8 inches wide and 10 feet long rather than the standard 12 inches wide. With this, this machine is more suitable for small banner sticker projects and similar designs. It may not be the most efficient machine due to its lack of a dual carriage, but it’s definitely useful for smaller projects. Not only is the Cricut Maker a useful machine that makes decals, but it can also be used for cutting fabric. 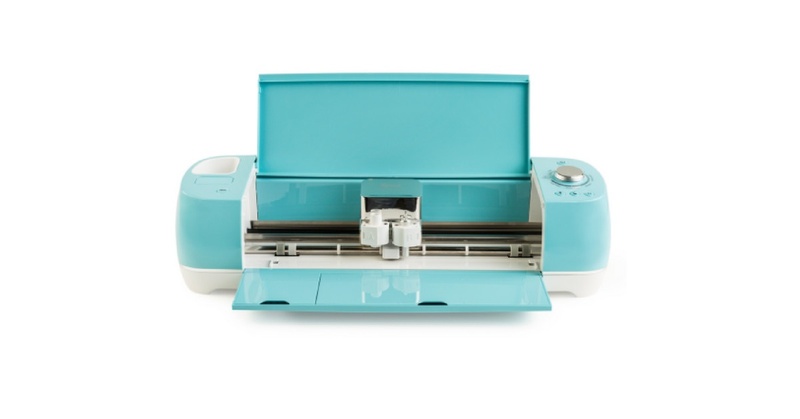 Equipped with a rotary blade, the Cricut Maker can cut through almost any fabric for your cloth-based projects. The gliding and rolling action of the blade give you the control you need to have more precision in how you wish to cut your fabric. This also helps maintain the level of detail you want in materials such as paper or vinyl, and the sewing pattern library that’s included can inspire dozens of custom projects. With the new extra-deep knife blade, (separately sold) you can additionally cut through thicker materials like balsa wood and matboard with little to no issue. No matter if you’re a beginner or a professional, the user-friendly Cricut design app lets you lay out your project on your smartphone or computer with ease. You can use your own designs and fonts for free as well in a variety of file formats. 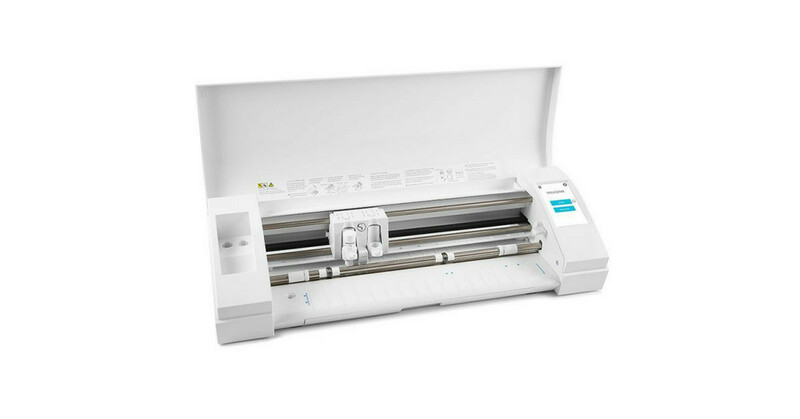 The Cricut Maker might not be too great for those who wish to work on big projects for the cutting space is only around 12 inches wide and 24 inches long. But even with this, you can still cut almost any material up to 2.4mm thick and enjoy it efficient and precise cutting ability. 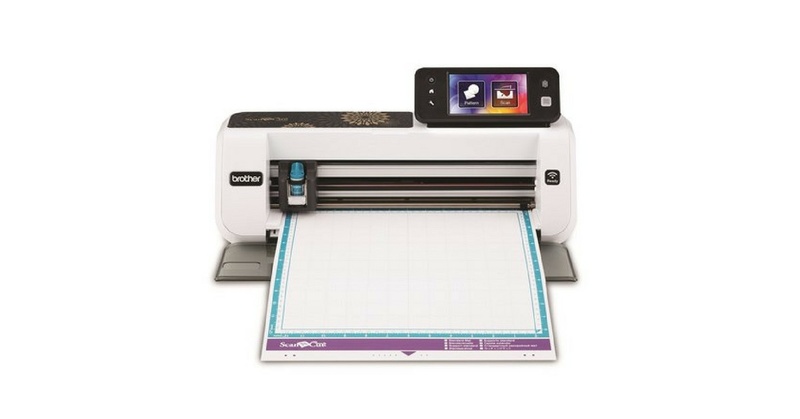 This sticker-cutting machine, in particular, stands out from the others in that it has a 4.85″ touch screen display which allows the user to background scan, weld, rotate, and resize your custom designs. This makes it easier for those who aren’t very computer savvy and makes editing designs quicker. 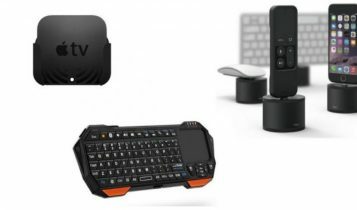 You can also use the machine wirelessly or connect it to a computer via USB depending on your preference. The Brother CM350 lets you scan virtually anything from handmade drawings, photos, decorative designs, and a lot more. From these, you can then create high quality custom cut outlines thanks to the machine’s built-in 300 DPI scanner. When scanning, you can choose between colored or grayscale depending on your project. You can finally cut your designs within the 12″ by 24″cutting area (which may seem limited to some) whether you’re cutting fabric or paper-based materials. There are built-in designs included with the Brother CM350 that can help beginners with their editing skills which make for an easier learning curve. 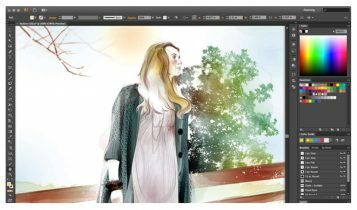 The ScanNCutCanvas software is a cloud-based application that’s free to use and has useful tutorials and basic templates that can further help in your design process. With the help of its German carbide blade, it can handle materials up to 2mm thick and with a maximum width of 11.7″ and a length of 24″. Although the Brother CM350 is a bit on the expensive side, its advanced features are worthwhile for the rookie hobbyist or professional at home. Vinyl cutting is a nice hobby, but without the right equipment, it can be a nightmare. Your journey to finding the ideal vinyl cutting machine should focus on two important features – performance and durability. This is all you as a beginner need. You can do a lot of various designs witch vinyl cutters we mention in this article, and if your goal is just a sticker making, these devices are perfect. For people who want to transform their sticker ideas into a profitable business, we recommend investing in professional sticker maker. You should expect a large and expensive machine with an ability to cut large design, different materials and make more jobs at one time. Price – Most personal cutters will cost you between $200 – $400. Choose wisely if you need to pay extra for better blades or wireless compatibility. Don´t forget that you need extra accessories to make stickers, from USB cables to extra blades and cartridges, there are additional accessories out there that will definitely enhance your crafting experience. You should look for a vinyl cutter with a bundle deal. Printing Size – Most home vinyl cutters can cut up to 12 inches in size. For larger objects, you have to pay more for a business cutter. Software – You can’t do much without software. It is essential to use proper programs to design object you want to cut. Of course, some high-quality vinyl cutting machines come with their own software with few pre-made templates, but mostly the included software is useless. Our favorite is Adobe Illustrator. Learn more about this topic here – Best software for vinyl cutting (FREE and PAID). Materials – More materials the cutter can handle, the better. All the vinyl printers in this article are able to work with various materials and offers more then just sticker printing. Computer, software, and cutter. Absolute essentials. What else do you need? One you like the idea of sticker making, the best way to improve your skills is to learn from others. In this case, we found some interesting videos related to vinyl sticker designs that you might enjoy. Stickers – How to make real vinyl stickers – Commando Designs. An interesting video where you learn how to make real vinyl sticker just like the pros do. See useful tricks which will help you make homemade vinyl stickers with ease. Vinyl Plotter: Cutting, Weeding And Applying Custom Stickers To Vehicle – CatspitProductions. Here’s an educational screen printing video about using a vinyl plotter or cutter to make a custom sticker and applying it to a vehicle window. How I make customized stickers with a Cricut! – Michelle Greatness. A very nice video where you learn everything from beginning to end about customized sticker making.